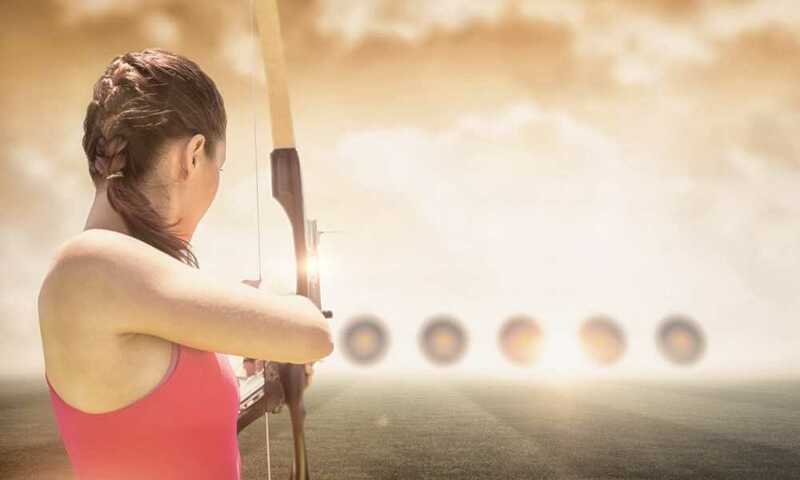 Hitting a target with an arrow looks easy, but, in fact, it takes a lot of practice to be effective. So, you’ll want to get the right targets to use. This allows you to practice effectively so that you can get excellent results. The Morrel Yellow Jacket YJ-350 Field Point Bag Archery Target is one of the potential choices you can make when it comes to archery. Different arrows have different effects. This target works well with field points. Field point arrows are designed to be lightweight and to penetrate targets. 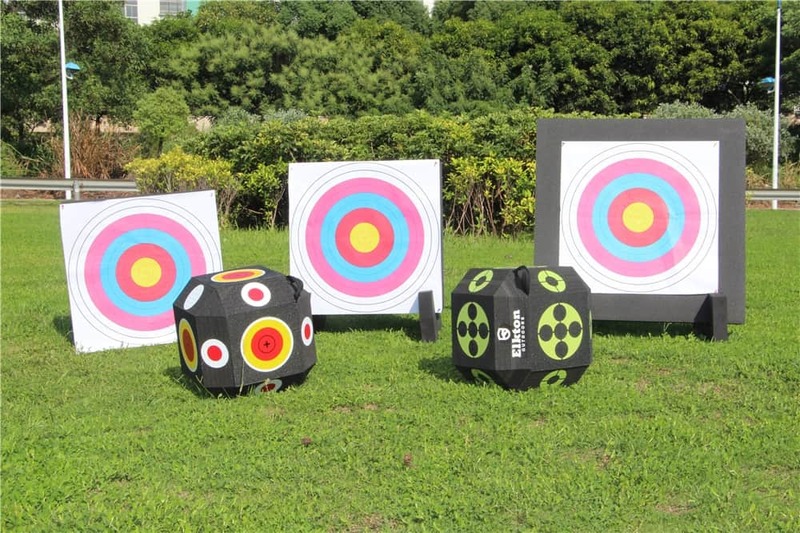 Made for target shooting, they are what you will use during competitions. Being familiar with them is very important. Designed as a General Target. 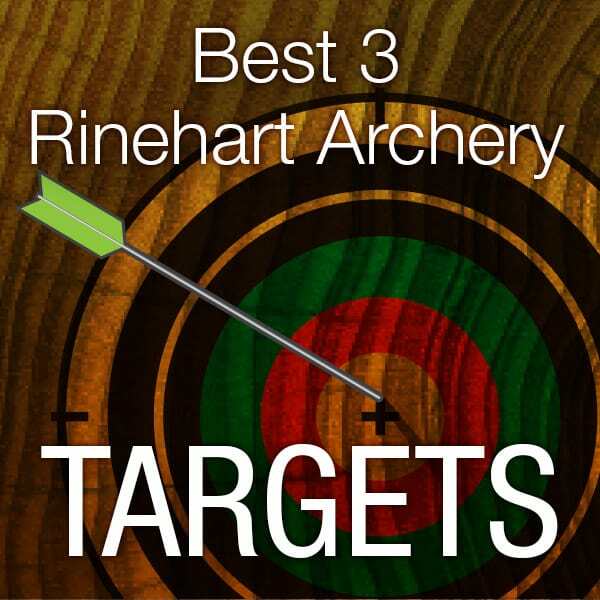 This target is used for target practice for multiple archery disciplines. You can use it for crossbows, bows, and other similar marksmanship sports. The only exception is for rifles and guns in general. This is an advantage since having a consistent target is helpful for these sports. Easy Visibility. One of the first things you’ll notice about this target is that it is so easy to see. The bright coloring really makes the target pop. Even if it is yards away, you will be able to see this target because of its noticeable coloration. The red and yellow design is a good choice for that. It also helps that it is quite large. Measuring 21 by 21 inches, it can be seen from several yards away. Stopping Power. One of the key things that make targets important is that they can stop an arrow properly. When you shoot at a target, an arrow delivers penetrating force into it. If the target is too flimsy, the arrow just punches through. This causes problems in removal since it can damage the arrow – and arrows can be expensive. This target has the right amount of stopping power so that the arrow won’t be unduly damaged. Increased Durability. One of the big problems that targets face is that they tend to get shot full of arrows. In the past, when targets were sandbags or similar targets, this caused them a lot of damage. Even wooden targets ended up being broken. 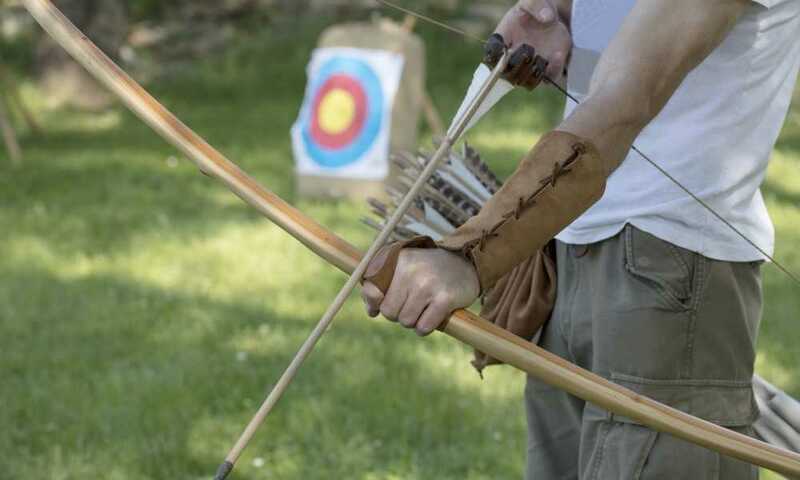 However, to really get good at archery, you need to shoot thousands of arrows. You’ll want a target that will be able to stand up to a lot of punishment. That’s why the design of this particular product is very interesting. Thanks to the multiple layers of material inside it, it manages to keep its shape and integrity even when being shot at repeatedly. You can be sure that it will take thousands of shots before this target is destroyed. Easy Set-Up. 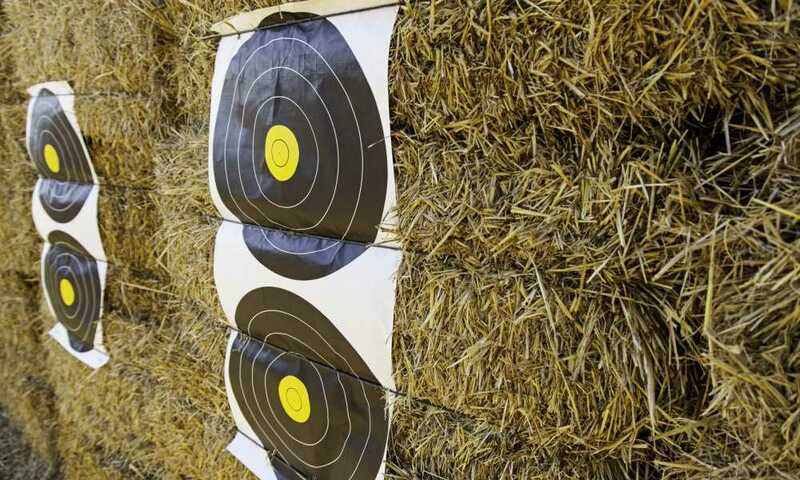 When you’re target shooting, you want to get into the action quickly. So, it’s nice to know that a target can be easily carried around. This is thanks to the EZ tote handles on the target. Besides that, it also has grommets that allow for easy hanging. So, you can just find any free-standing structure and hang the target up. No need for an expensive stand for your target practice. Simple Arrow Removal. Another thing that makes this target very interesting is that it allows for simple arrow removal. One part of it is the impressive stopping power of the target. With multiple layers inside it, it stops the field point arrow from fully penetrating. Another part is that the material it is made of does not hold on to the arrow when you pull it out. This allows you to easily remove the arrow if necessary. Field Point Arrows only. One of the big problems with this target is that it only allows you to practice with field point arrows. Field point arrows have narrow tips. This means they focus their penetration into small spots. It also allows them to be more aerodynamic, making them perfect for target shooting. 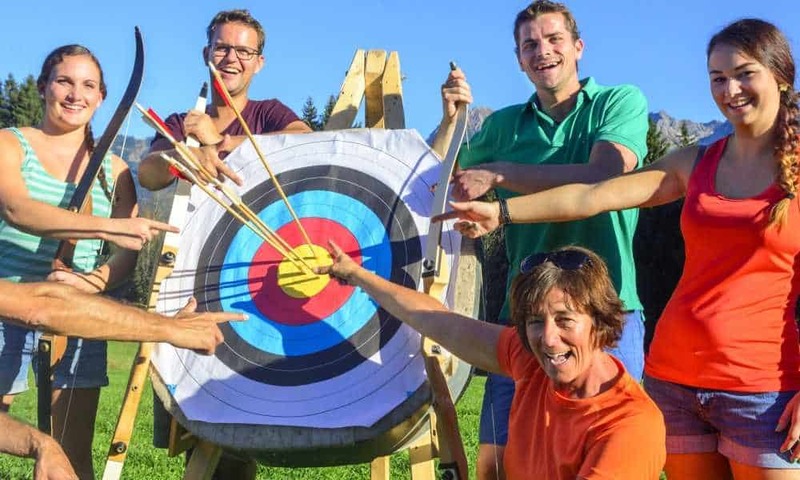 However, archery also uses multiple points. You may want to use them in the field, but when you’re doing target practice, you will need to limit yourself to field points. This is because using anything else will do too much damage to the target. Overall, it’s a pretty good product from Morrell. If you’re planning to go into archery, then you’ll need a simple, no-frills target that you will want to practice on. 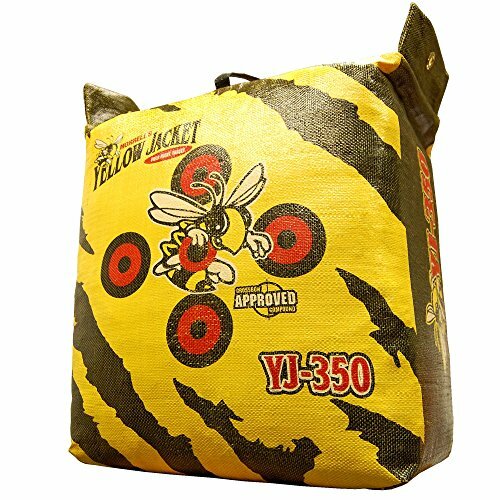 Morrell Yellow Jacket YJ-350 Field Point Bag Archery Target meets all of those needs easily. It is tough and can handle a lot of punishment. You will be able to get a lot of practice out of it. By the time you need a new one, you should have improved. 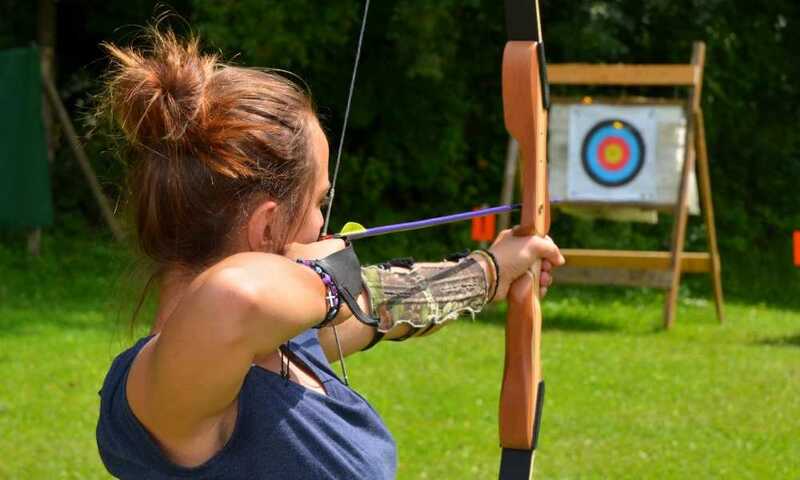 Plus, it has a very affordable price tag, which is a plus for those entering archery. 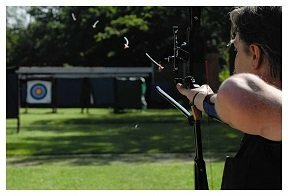 Works extremely well for crossbow or compound bow practice. It isn’t made for broadhead use. I have a crossbow… Horton RDX Storm, that is very powerful. This product prevents the bolts from going in so far that it might damage them. I am very satisfied with this product. Just purchased Morrell Yellow Jacket Supreme bag about a week ago. Previously I had a hurricane bag. While it did the job, my bolts from my crossbow would protrude through the opposite side. With this bag not a single bolt has penetrated through the opposite side of the bag. Bolt removal is easy, which is nice because my son likes to go pull them put of the bag. I do not leave the bag in the elements, I put it indoors after I finish practice, which I think helps maintain the quality.